When searching for a company to clear your individual lot or acreage project, look no further than SS Grading. We are state licensed and insured and have over 10 years experience in residential and commercial land clearing projects. 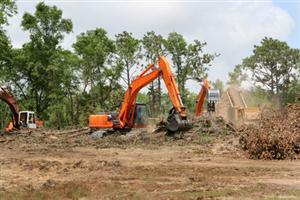 As a Richmond land clearing contractor, SS Grading has completed clearing projects for individual custom home builders, residential developers, commercial builders, corporations, and utilities companies. SS Grading offers complete solutions including: Land Clearing, Debris Removal, and Hauling Services for all your project's needs. We are focused on the successful completion of your Residential or Commercial, Land Clearing Project. Our company specializes in Lot and Land Clearing in the Greater Richmond Metro Area and throughout Virginia. Our experience, capabilities, and seasoned personnel are top notch. We offer quality services at reasonable prices. 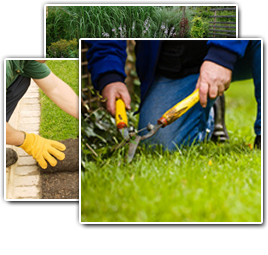 Our goal at SS Grading is to provide a high quality residential and commercial Richmond landscaping service. From yard grading to tree removal services to strive to provide unmatched service experience. All of our landscaping professionals begin each project with the goal to provide a superior service to the Richmond area. For over 10 years SS Grading offered landscaping solutions in Richmond. If you're looking for a professional Richmond land clearing contractor, then please call us today at 804-464-8456 or complete our online request form.